Dr Caroline Moffat is a molecular plant pathologist, Senior Research Fellow and a key member of the leadership team at the Centre for Crop and Disease Management (CCDM), a national research centre co-supported by Curtin University and the Grains Research and Development Corporation (GRDC). 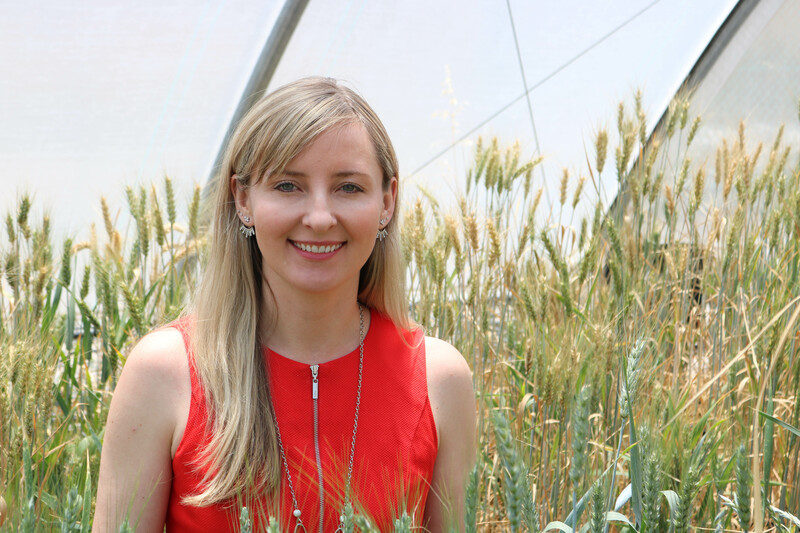 As the leader of the Cereal Diseases research theme at the CCDM, Caroline’s work combines molecular biology, genetics and bioinformatics to help better understand crop disease, with the ultimate aim of reducing its economic impact in the Australian grains industry. In 2014 she was nominated as a finalist for the Eureka Prize for Sustainable Agriculture as part of a team contributing multi-million dollar savings to Australian agriculture by developing a new test to identify disease resistant wheat. She has also performed a world first gene deletion in a major fungal pathogen. Originally from the UK, Caroline studied her PhD in plant molecular biology at the University of Oxford. She relocated to Australia in 2009 to study wheat fungal diseases and was part of the inaugural research team involved in establishing the CCDM in 2014. Caroline has also represented Australia as a Young Leader at the Science and Technology in Society Forum in Japan. On a personal level Caroline balances her career with caring for her disabled daughter, and is passionate about supporting and promoting women in science.